What does cage-free mean? Is cage-free chicken better? 13 Nov Cage-free: What does cage-free mean? Is it better to buy cage-free chicken? 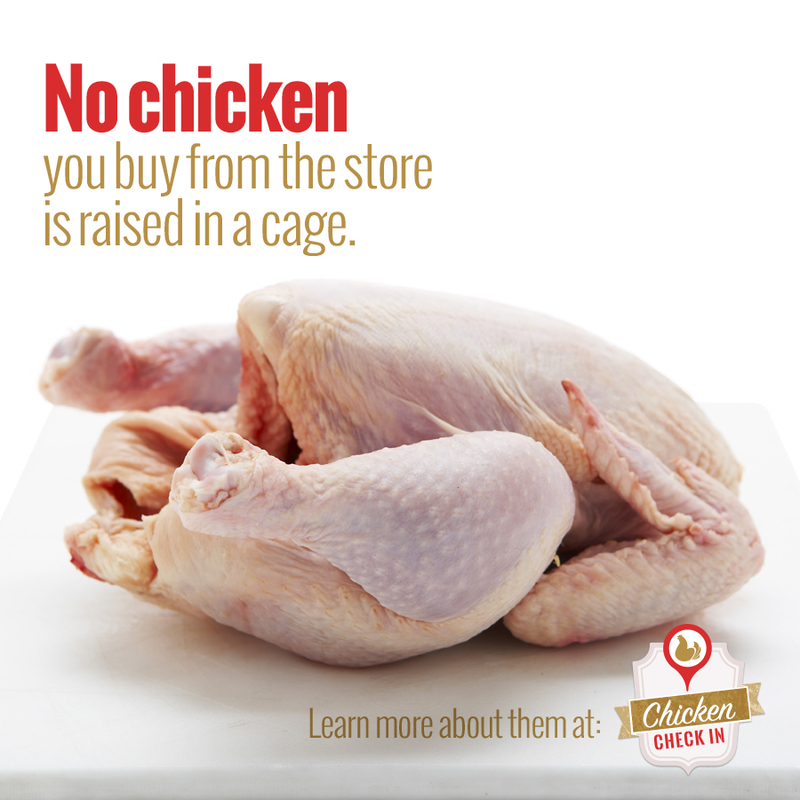 You might see “cage free” labels on packaged chicken meat that you purchase at the store. However, no chicken you buy is raised in a cage. Commercial broiler farms raise chickens in large, well-ventilated, climate controlled barns where they’re protected from the elements, predators, and disease. They have room to move about the house, access food and water 24 hours a day, and interact with other chickens. Others, including free-range chickens, have varying access to the outdoors, based on farmer preference. A very small percentage (a fraction of 1%) of broilers are raised at specialized research facilities, such as academic research programs at universities. In order to better study bird nutrition and health, these chickens are raised in open pens. Traditionally, a flock of broiler chickens consists of 20,000 – 25,000 birds in a chicken house that measures 400 feet long and 40 feet wide. As the birds age, they grow into this space. As the old saying goes – birds of a feather flock together. This happens to be true when it comes to chickens. Young chickens are kept closer together as they grow their feathers (called the “brooding” stage), in spaces that are warmer. As chickens age and are better able to regulate their body temperature, highly advanced heating and ventilation systems in the chicken house keep the chickens’ habitat precisely within the comfortable range they prefer. The chicken house also keeps the chicken flock biosecure (safe from disease) and safe from predators. To download a PDF of this FAQ on cage-free broiler chickens, click here.